Cloo will be celebrating classic TV on Sunday, Nov. 4, 2012 with a 24-hour "Jump the Shark" marathon starting at 6am! 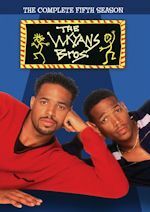 This will be a marathon of classic shows that ran for many seasons but there might have been a turning point where viewers started scratching their heads and said, "did that really just happen?" 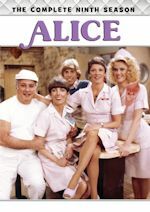 The classic shows airing in this very unique marathon are Get Smart, Bosom Buddies, Family Ties, Mork & Mindy, Laverne & Shirley, Happy Days, Cheers, MacGyver, Mannix, The Unit, House and Charlie's Angels. 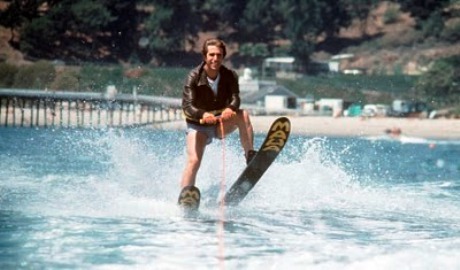 Yep you will get to see The Fonz on Happy Days jump the shark on water skis on the 3-part "Hollywood" episode. 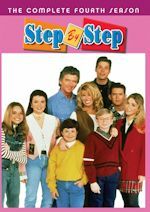 Other "Jump the Shark" episodes include "The Birth of a Keaton" on Family Ties, "Not Quite New York" & "Welcome to Burbank" on Laverne & Shirley, Sam Malone returning to Cheers in "Home is the Sailor," and Mork & Mindy getting married in "Limited Engagement" and "The Wedding." See all the jump the shark moments that you just can't keep away from actually watching. It's so cheesy that it is good! There are no Ted McGinley sightings! So make sure you watch Cloo on Sunday, November 4 for this all-day event! 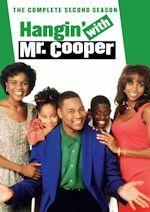 ABC Family will once again start Christmas early and will give thanks with new holiday programming during the "Countdown to 25 Days of Christmas" from November 18-30, 2012. The annual "countdown" event will include the world premiere of the new movie Home Alone: The Holiday Heist on Sunday, November 25 from 8:00-10:00 PM ET/PT. ABC Family will also air an all-new holiday episode of the hit drama The Secret Life of the American Teenager on Monday, November 19 at 8:00PM ET/PT, plus the basic cable premiere of Nanny McPhee Returns on Friday, November 23 from 8:30-11:00 PM ET/PT) and a special airing of The Blind Side on Thanksgiving Thursday, November 22 from 8:00PM-11:00 PM ET/PT. In the new Home Alone film, which will be the fifth in the franchise, on Sunday, November 25 at 8:00 PM ET/PT, has eight-year-old Finn (Christian Martyn) terrified to learn that his family is relocating from sunny California to Maine, and to the scariest house he has ever seen! Convinced that his new house is haunted, Finn sets up a series of elaborate traps to catch the "ghost" in action. Left home alone with his sister while their parents are stranded across town, Finn's traps catch a new target - a group of thieves (Malcolm McDowell, Debi Mazar and Eddie Steeples) who have targeted Finn's house. Ed Asner co-stars. See how the Home Alone hijinks began with the original Home Alone airing on Saturday, November 24 at 8:00 PM ET/PT. View the full Countdown to 25 Days of Christmas" (Nov. 18-30) schedule. 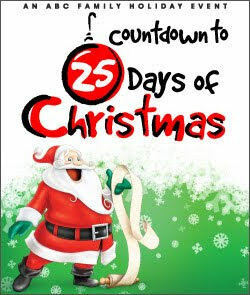 Stay tuned for the actual "25 Days of Christmas" (Dec. 1-25) schedule very soon. We will have it for you as soon as we get it. Holiday season is already right around the corner -- wow!